Eight years after cancer survivors Noel Storm and Casey Clabby met with NIU media instructor Michael Corvino in a DeKalb Starbucks, their dream of creating a documentary became a reality. On Jan. 17, their film, “Hidden Scars,” debuted before a crowd of more than 50 people at LivingWell Cancer Resource Center in Geneva. Casey Clabby, 62, shared the sentiment. “If we could help one woman have a better understanding of the emotions she may experience as she goes through the mastectomy process -and that she is not alone – our goal will have been achieved,” Clabby said. Both residents of Sugar Grove, Storm and Clabby were strangers until their breast cancer diagnosis and treatment at Northwestern Medicine Delnor Hospital brought them together. Following double mastectomies – Noel in 2007 and Casey in 2009 – they had a need to help other women and creating a documentary seemed the best way to do so. 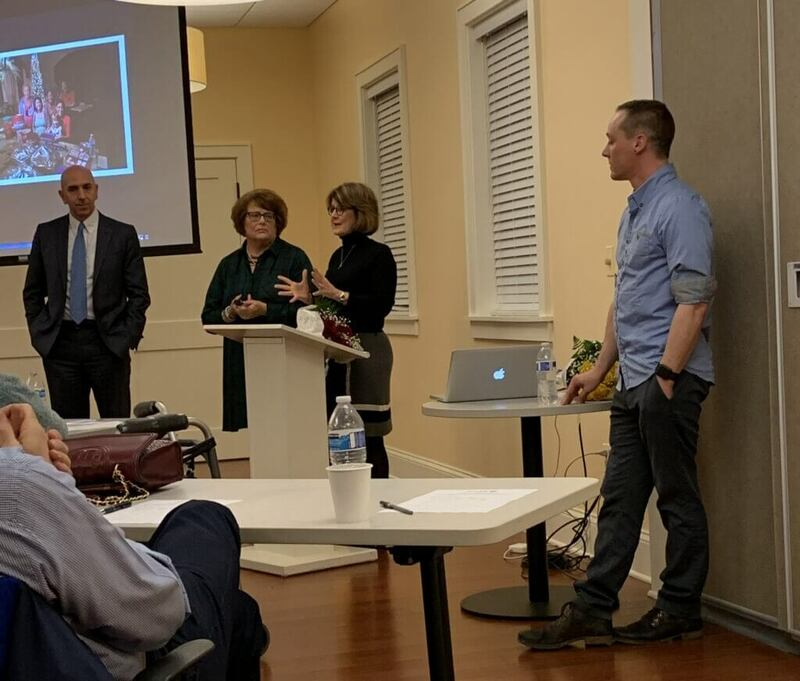 From left: Dr. Ghaderi, Noel Storm, Casey Clabby and Michael Corvino answer questions for the audience after a screening of ‘Hidden Scars’ at LivingWell Cancer Resource Center in Geneva, IL. Clabby said grieving the loss of a body part was an important – and normal – part of her healing. The fact that the Storm and Clabby had zero film experience didn’t deter them. And after hearing their story and their vision over a cup of coffee, Corvino agreed to take on the project pro bono. The documentary includes interviews with women from around the Chicagoland area who have had double and single mastectomies. 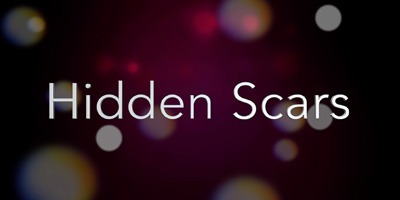 From diagnosis to surgery and choosing to have reconstruction or opting not to undergo reconstruction, “Hidden Scars” tackles tough topics and emotions surrounding cancer. Clabby, a retired nurse, said it’s also an important film for members of the medical field to see as it tackles topics you can’t learn in a textbook. Storm said Corvino guided them through everything, describing him as a “very caring and generous person.” Clabby agreed. Corvino donated his time and expertise to bring Storm and Clabby’s vision to the big screen. Over the course of eight years, the three strangers became friends, and the project became just as much a passion for Corvino. After more than 1,000 hours of filmmaking, “Hidden Scars” is something the NIU instructor in incredibly proud of.